That sparkling smile is not just part of a pretty face, but it’s also a strong sign of good health. Scientific research has recognised the link between teeth and gum health, and many chronic diseases including heart disease and cancer. you will receive a lifetime of healthy teeth and gums. There are simple ways to keep teeth strong and healthy from childhood into old age. nearly half of all children have developed a cavity by the age of five. Begin dental care as soon as your child’s first tooth appears – you can start by wiping it with a clean cloth or a soft baby toothbrush to remove plaque. At about age 2, you can let kids try brushing for themselves - although it’s important to supervise. The single biggest advance in oral health has been fluoride, which strengthens tooth enamel, making it less likely to decay. Fluoridated toothpastes and mouthwashes are available to help harden your tooth enamel between dental treatments to reduce your risk of decay. Ask your pharmacist or dentist for advice. Brush thoroughly – brushing your teeth should take at least two minutes. Select a toothbrush with a small head for better access to back teeth. Soft bristles are kinder on your gums. Keep it fresh - your toothbrush should be changed at least every three months. 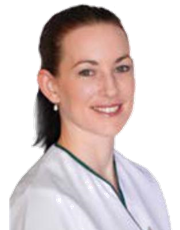 Ask at your local Direct Chemist Outlet for a fact sheet on brushing correctly. Nearly half the surface area of your teeth lies between them – don’t miss this! Use a slow, gentle sawing motion. Ask at your local Direct Chemist Outlet for a fact sheet on flossing correctly. Sports and physical activities build healthy bodies, but they can pose a threat to teeth. Mouth guards that can be form-fitted to your mouth by softening them in hot water are available from your local Direct Chemist Outlet. 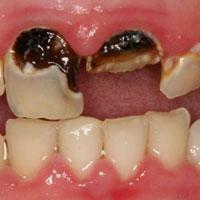 Tobacco stains teeth and significantly increases the risk of gum disease and oral cancer. The only healthy option is to quit. Call the Quitline on 13 1848 or ask your pharmacist for help. When bacteria in the mouth break down sugars, they produce acids that can destroy tooth enamel, opening the door to decay. Reduced saliva flow increases the risk of decay and gum problems. As many as 800 different medicines can cause dry mouth as a side effect. A change in medication or dose may be required to help alleviate the problem, and saliva-like oral treatments are also available. Talk to your friendly pharmacist at your local DCO pharmacy. See your dentist regularly – every six months – for a dental check. During a routine exam, your dentist or dental hygienist removes plaque build-up that you can’t brush or floss away and look for signs of decay. Early signs of oral cancer - Nine out of 10 cases of oral cancer can be treated if found early enough. Undetected, oral cancer can spread to other parts of the body and become harder to treat. Wear and tear from tooth grinding - often caused by stress or anxiety. Over time, it can wear down the biting surfaces of teeth, making them more susceptible to decay. • Gum diseases - such as gingivitis and periodontitis, are the leading cause of tooth loss in older people. Early intervention can prevent further progression and reverse the disease. So please, for your health (and your smile :) take care of your teeth and gums. Your few minutes a day will help to end the decay!